In a month packed with major new and returning titles, November brought with it major successes and serious controversies. The Star Wars: Battlefront II release was hit with a major backlash from the community over its aggressive microtransaction system. On the other end Nintendo came out of the holiday gates swinging, dropping highly-anticipated and well-received first-party titles, as well as adding old classics to the new system like Skyrim and DOOM. Here is a breakdown of all the highlights and lowlights from this month. 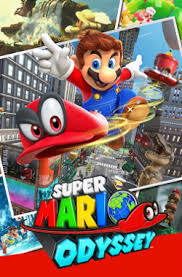 Super Mario Odyssey (Switch) - While technically not released this month, Nintendo’s return to a full 3D Mario title has been an astounding success story. It has sold 2 million copies in the week of its release. It received glowing marks in almost every major review and is sitting at an insane 97 metacritic score at the moment. The success of Super Mario setup the Japanese gaming giant for a great November. 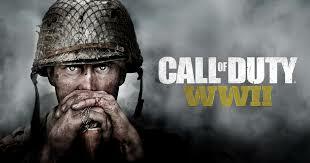 Call of Duty WWII (PC, PS4, Xbox One) - The (in)famous shooter series came out on the 3rd to a lukewarm reception. Many COD fans were looking forward to the game going back to its WWII roots, but Sledgehammer Games hasn’t lived up the those hopes in many eyes. While the critics seem to enjoy the game go back to basics, the average player would rather see major improvements. The average user score is currently a 38 out of 100 on metacritic. Those numbers can be skewed, but in the end doesn’t look good for Activision and the team at Sledgehammer. DOOM (Switch) - While the game has been out on other major platforms for a while, many were surprised when id Software announced the shooter would be coming to the Switch. The title is known for its gameplay and design, but graphics have always dominated that discussion. The 30 frames per second, on the console may seem like a drag when compared to the 60 fps on other platforms, but the title performs beautifully on both the handheld screen and docked on the TV. The lacks in fidelity is made up for with the ability to put it DOOM in your bag and play on the go. L.A. Noire Remastered (PS4, Switch, Xbox One) - Another title that was given new life, the iconic detective thriller got a few graphical touch ups and gameplay improvements for the new line of consoles, including a full port to the Switch. These changes are nice, but don’t make a huge impact. Cole, the main character, still flies off the handle with the pretty regular frequency, and the shooting aspects don’t pack much punch, but the game is relevant simply for how unique it is. There aren’t many games where you get to be a detective and solve murders, or interrogate suspects in such an immersive way. For now, L.A. Noire is in a genre by itself. Star Wars Battlefront II (PC, PS4, Xbox One) - What started out with such hope was quickly snuffed by EA’s now infamous microtransaction system. A chance to play as Luke Skywalker or Darth Vader would get any Star Wars fan excited, but Battlefront 2 didn’t feature them - at least not right away. The characters had been locked behind what many players described as an unfair rewards system, one that took almost 40 hours of gameplay just to unlock a single character. Instead of grinding through a week’s worth of work, players are given the option to buy them instead. While this practice has been used in other games before, it hadn’t been quite as extreme. The community backlash was loud and instant, with EA having to remove the system entirely for now in order to repair the sinking ship. Only time will tell how the game will turn out before the holiday season is out.